Curriculum for Excellence provides the content, skills and capacities which our students must develop throughout their school experience. You can find out more about Curriculum for Excellence on the Education Scotland website. Before planning the learning activities, staff collaborate on the learning purpose and the evidence required for a piece of learning. We are increasingly using an Accelerated Learning Cycle approach to planning our lessons, which is outlined in more detail below. We also run Learning Skills programmes in S1-3 to support students to access the planned learning activities. These are outlined in more detail on this page. The development of approaches to learning and teaching is led by the school’s Strategic Learning Group which is composed of the Senior Management Team, Principal Teachers, Learning Leaders and Classroom Teachers. Support and professional learning opportunities for staff are provided by the school’s Learning Leaders. 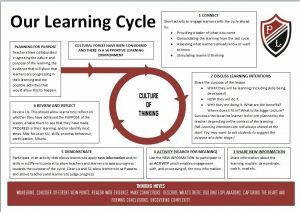 This cycle aims to enhance learining by ensuring that formative feedback and metacognition is built into lessons. Our Learning Cycle is based on academic literature, our practical experience and working with partner schools. The 6Rs form the basis of our Classroom Agreement and set out the expectations we have of all our students. 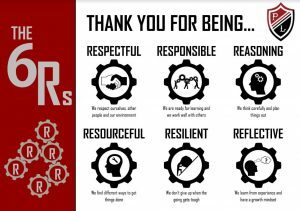 All students are introduced to the 6 “Rs” as part of our Learning Skills programmes in S1. We aim to develop these attributes in all our lessons and encourage students to reflect using this language. You can find out more about our 6R’s using the 5R’s description tool. We are developing a new tool to incorporate Respectful. Through the Learning Skills programmes, students are also introduced to ‘Mindsets‘. This is a theory developed by Carol Dweck, a Professor of Psychology at Stanford University. Dweck suggests that people can either have a ‘Fixed’ or ‘Growth’ mindset and this influences the way in which people approach challenges, such as learning in school. She has also found that by teaching people about Mindsets you can change their view of themselves and the effort they put into learning. 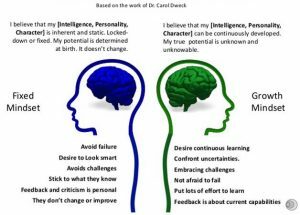 You can find out more about Mindsets on Carol Dweck’s website or on the website of the Centre for Confidence and Wellbeing. In session 2015-16, through involvement with the Tapestry Partnership we started to explore how we could engage teachers and learners in Making Thinking Visible. We want our classrooms to be thinking classrooms and take into account the cultural forces that shape our classroom. 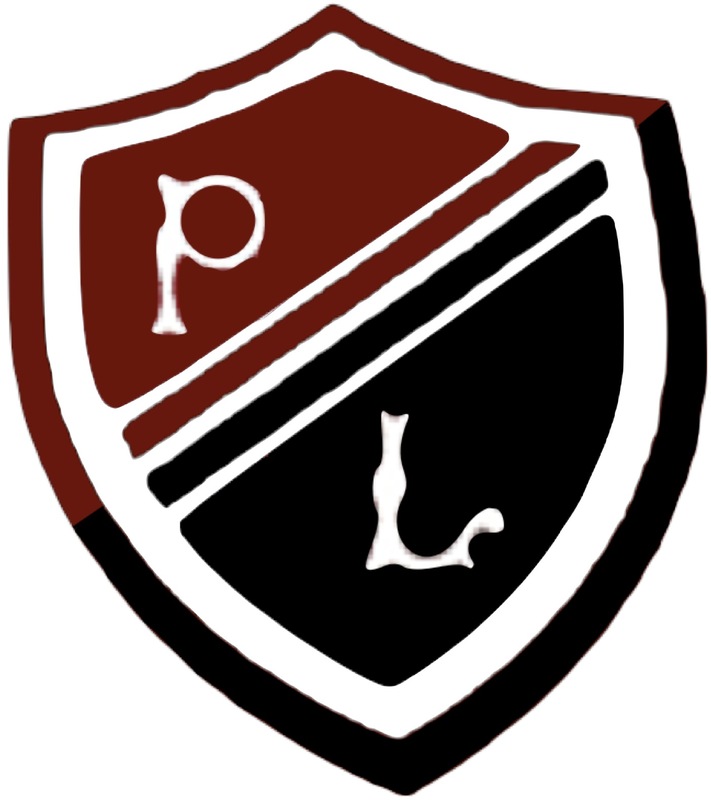 You can download our PDF guide to learning and teaching at Preston Lodge Learning at PL Guide for Staff 2017 20018.